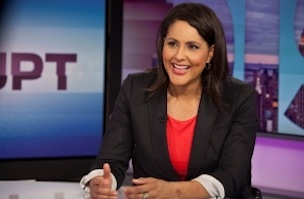 MSNBC’s “Disrupt with Karen Finney” has been canceled just shy of its first birthday. The program aired weekends at 4pm and debuted June 8, 2013. Finney is the former communications director for the Democratic National Committee and was previously with the NYC Department of Education. 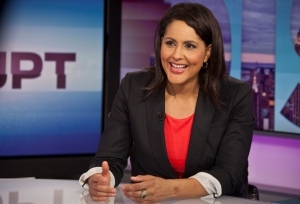 An MSNBC spokesperson told our sister site TVNewser that she will remain with the network as a contributor, where she’s served as a political commentator since 2009. While we in the Fishbowl are looking forward to a less disruptive, more organized, weekend, we look forward to seeing what’s next for Finney. Last hour she tweeted gratitude for her support and well wishes. Thanks for the support and kind wishes – you’ll still see me on the msnbc airwaves!